FutureYou is a fast-growing boutique executive search firm in Australia that has managed to pioneer innovation and a marketing-driven focus on quality in a growing APAC recruitment market. 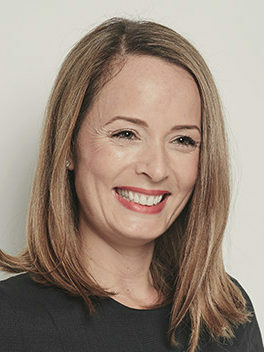 Much of that success is attributable to two of its leaders, Emily Wilson (managing partner and co-founder) and Sharon Lewis (chief marketing and digital officer). 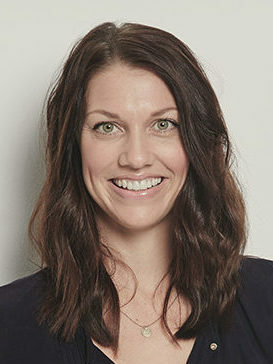 As two powerful women at the helm of one of the most exciting recruitment consultancies in Australia, Sharon and Emily had a variety of insights on the reasons behind FutureYou’s success, as well as tectonic shifts impacting Australian recruitment today. We’ve encapsulated some of them in a two-part Q&A. RIX: Sharon, your background is not in recruitment. What attracted you to FutureYou? SL: The idea of moving into a new industry, for a new company, in a new role scares a lot of people. But for me, it was exactly what I was looking for – a new challenge that would take me well out of my comfort zone. Taking the leap out of your routine and comfort levels initiates an incredible journey of self-discovery. That’s when I’m the best version of myself. You start to learn so much more about yourself than you thought was possible – you become more creative, confident, resilient, experienced, and in my opinion you feel more fulfilled. I’ve learnt that the recruitment industry is quite niche, and the importance of establishing and building partnerships in the market – such as with the external vendors for the website, job boards, marketing automation, CRM – is incredibly important. I’ve also learnt you don’t always need a huge budget to create something that’s amazing – you just need great ideas, an eye for detail and an inquisitive brain when looking at different solutions. RIX: Emily, you’re a recruitment veteran. What makes FutureYou so different from the average exec search firm? EW: As an industry I think we tend to follow rather than innovate. What sets FutureYou apart in the Australian recruitment industry starts with our people. Our people are all specialists with a minimum 3 to 4 years’ experience in their chosen field, some as many as 20 years’ experience, and our leadership team is arguably the best in the industry – we’ve cherry picked the most experienced recruiters in their field. Our purpose and values – our purpose, the power to connect without limitation and our values have resonated with both clients and candidates as well as our industry peers. Our values too, are at the heart of every decision we have made as a company since launch, staying true to our values which include: Challenge the Status Quo, Focused on You, For the Greater Good, Life’s Too Short and Our Own Voice. RIX: The skills shortage is a global issue, but from a demographic perspective it’s especially acute in Australia. How will this play out, and how will the Australian economy handle this shortage? SL: The skills shortage isn’t unique to Australia. Jobs and employment models are continually changing with technology, demographic shifts, consumer preferences and social trends. The combination of advances in technology, digital connectivity, changes to traditional employment models, transition to a services and knowledge led economy and an ageing population are all contributing factors to what is being referred to as a ‘perfect storm’ for jobs and employment models over the coming years. Government and industries are of course looking at a range of policy measures to counter the shortfall but what’s interesting to look at is what’s already happening in the market, what trends are taking place across the business community. EW: A few of the trends we’re seeing are the continued rise in contract recruitment, employers more willing to consider flexible working, talent moving across sectors and from corporate to SME/ startup. Contract working – Contract work has become normalised, it’s no longer the poor cousin to full time employment. What’s more, companies of all sizes and stages are increasingly recognising the power of contract employment to address changing business needs in the short and longer term, leading to more opportunities for professionals making the transition. This is also a trend we’re seeing among older employees in Australia who want to remain in the workforce, but are in a position to pick and choose between opportunities that enable them to add value. Flexible working – This is an unmistakable trend we’re seeing driven by innovation in employment and a focus on work-life integration. There are countless examples that have been shared with me over the past few months of talented mid to senior level executives being given flexibility to adjust their working week or fortnight away from full time hours to accommodate changes in life circumstances. Cross sector talent movement – Australian businesses looking at every aspect of their operations to gain competitive advantage are actively pursuing talent beyond their sector and industry. Now, recruiters are not only expected to be able to support a specialist talent brief, but also go beyond that sector, industry and location to source talent for a role. For recruitment agencies that specialise in a number of disciplines, the role of internal talent teams that work across sectors and disciplines to identify talent will become increasingly important. Talent shift from corporate to SME and Startup – The growth of SME opportunities, reinforced by the government’s efforts to foster an entrepreneurial spirit in Australian business has seen a new marketplace for executive talent unfolding, particularly in the Sydney and Melbourne markets. An increasing number of senior candidates are actively seeking SME roles that enable them to move into a MD or CEO position, where they can quite literally roll up their sleeves and draw on their collective years of experience to grow a business from the ground up. Tune in for part two of our Q&A with Sharon Lewis and Emily Wilson of FutureYou.